When it comes to apps for your phone or your tablet, the fact is one can easily end up spending hundreds of dollars on apps that after a few days are no longer fun or not being used. Personally I only buy apps that are under $2. Anything more is just too much for me as I'm not a big gamer, so to speak. Some educational ones I may consider $5, but they'd really have to have some great reviews. Always check for Amazon's Free app of the day. Book mark this link! Honestly, politics aside, check out DuckDynasty®: Battle Of The Beards for your kindle. Great fun I'm sure! Stack the states is one that we own - my kids are learning about Geography at their Montessori school. Since they're learning Indian states, I figure we need to learn US states as well! 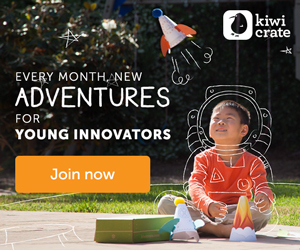 Free montessori app What about you? What apps do you have on your phone and tablet? Any you use often? What about ones you totally should have never purchased? (can it really be?) and time to give up on your new year's resolutions and win a giveaway worth $100! Okay in all honest you don't have to give up your resolutions to win, but we're just helping you be honest here! Sponsored by The Leaker News and Hosted by Giveaway Monkey together with BloggieAway and Parenting Patch. Time for us to make a list of Resolutions that we will probably forget about by February. But it is a tradition so let's do it, anyhow. Who will win this prize? 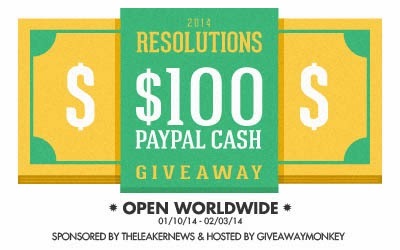 One (1) lucky reader will win $100 cash in Paypal. This is paid in US dollars via paypal. This giveaway is open worldwide and ends on February 03, 2014 EST. To enter, simply use the following Rafflecopter form below and give it your try. The more your complete the more your chances are to win!